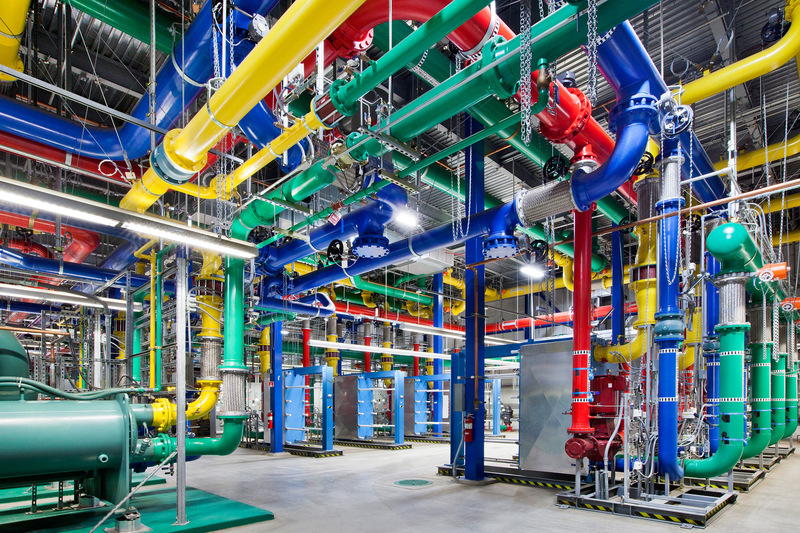 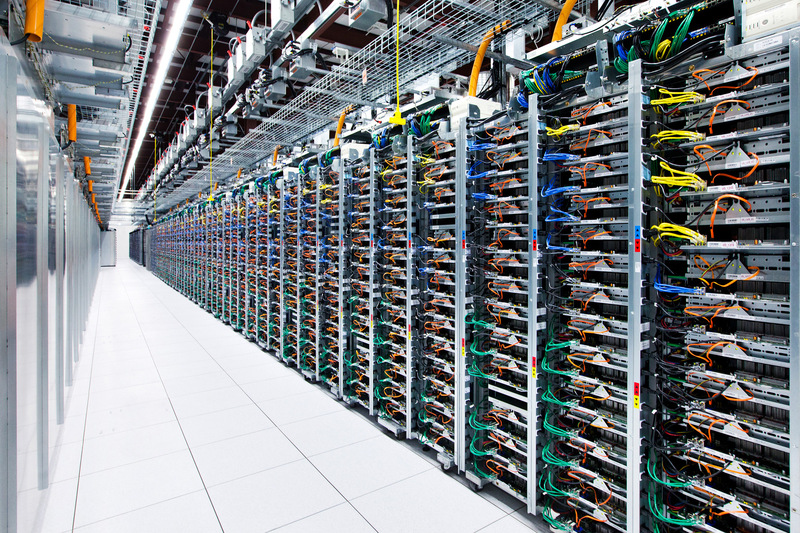 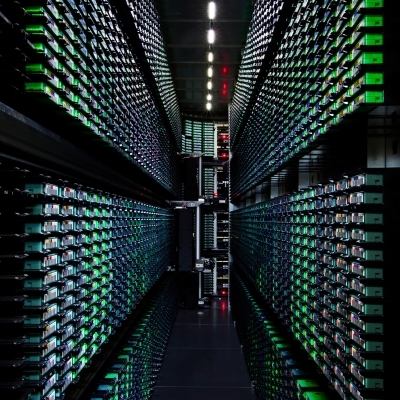 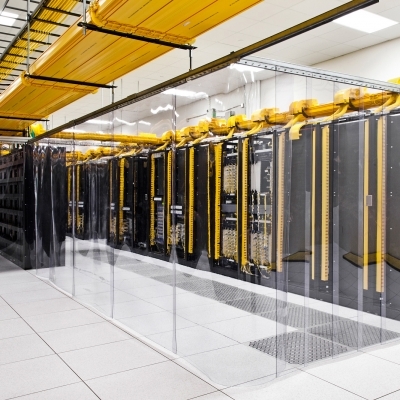 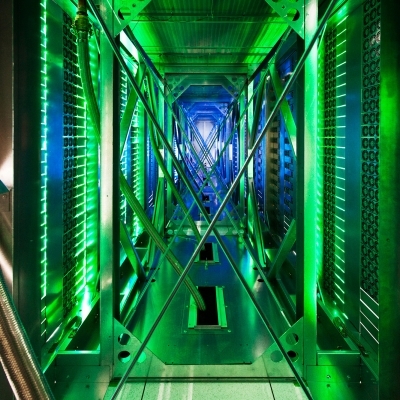 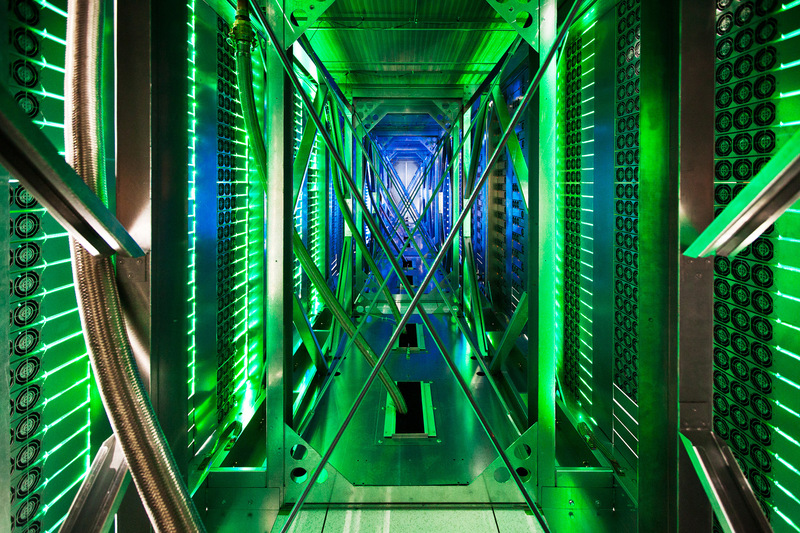 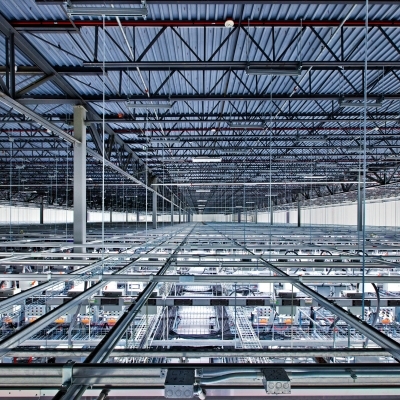 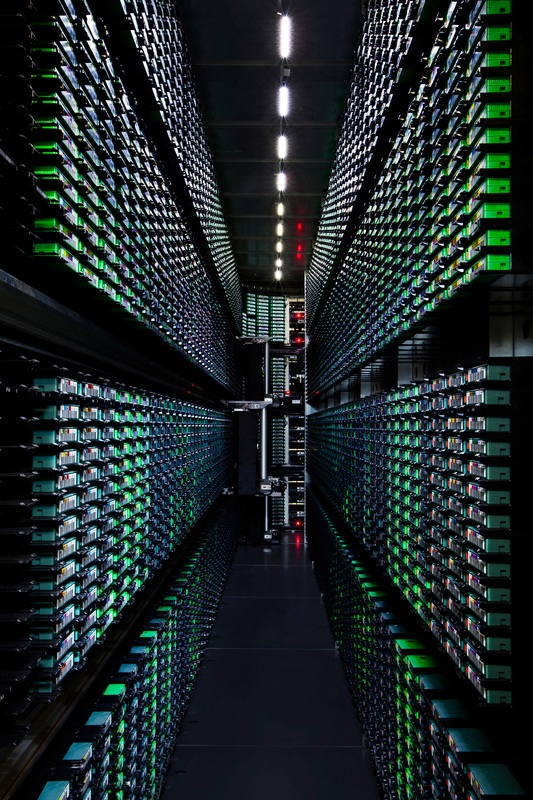 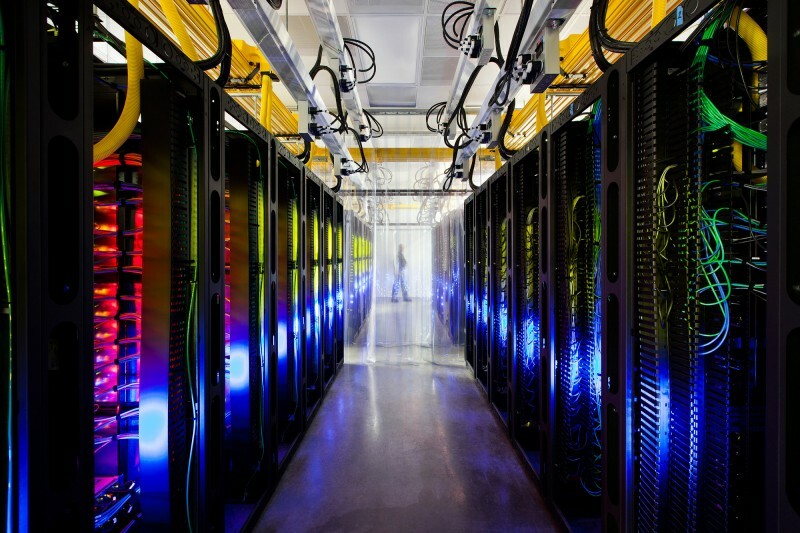 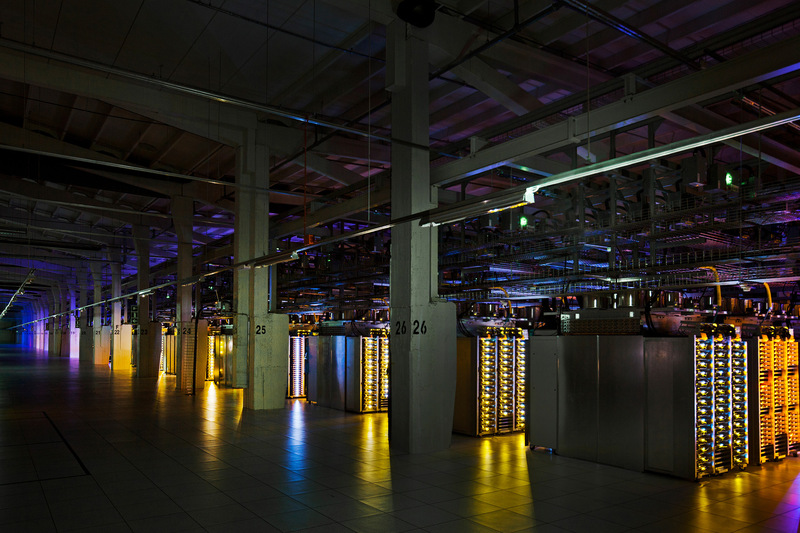 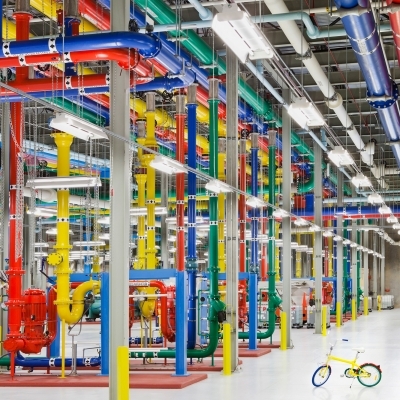 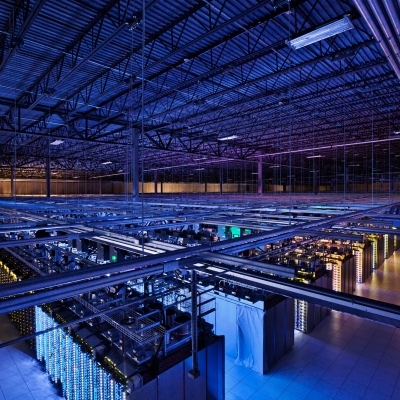 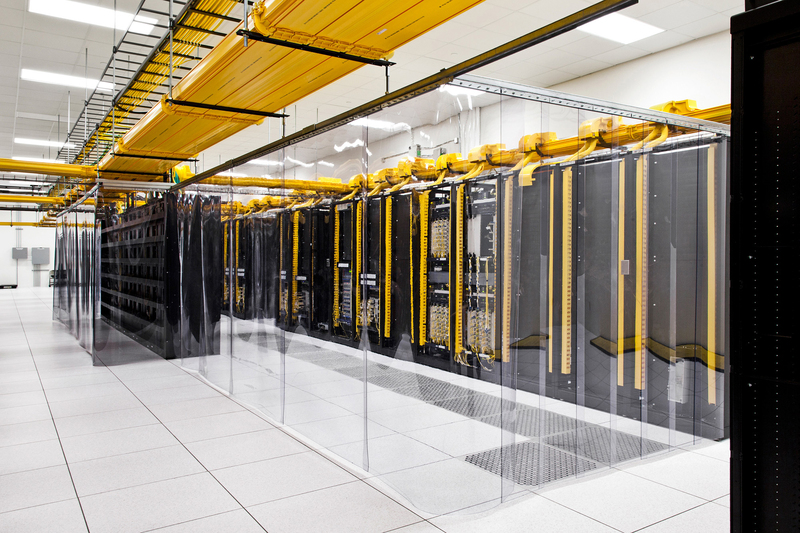 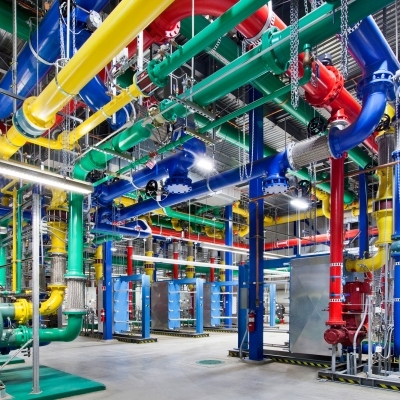 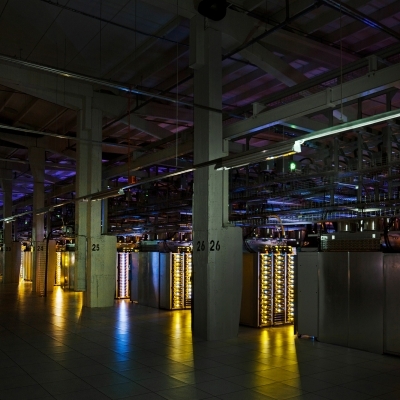 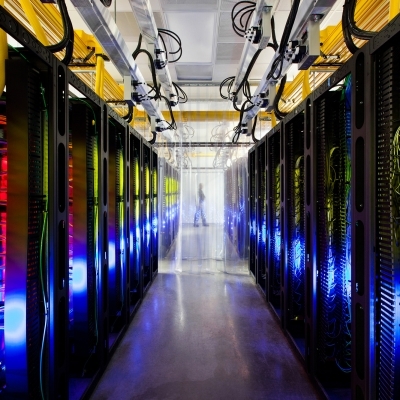 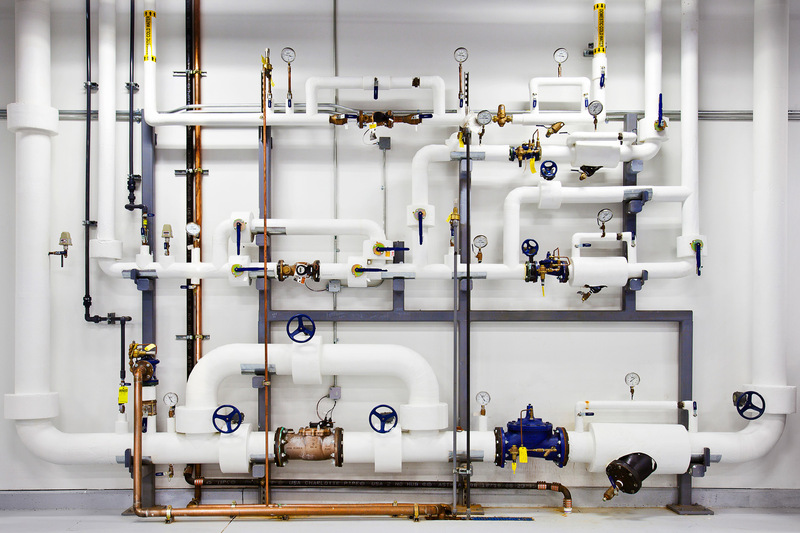 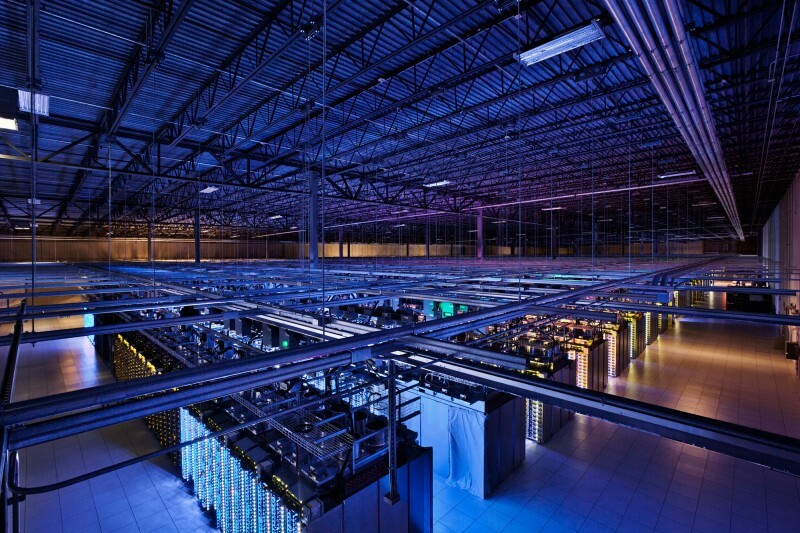 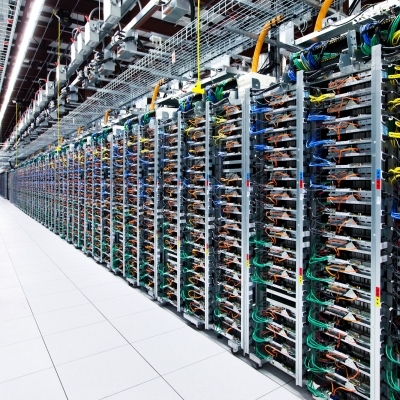 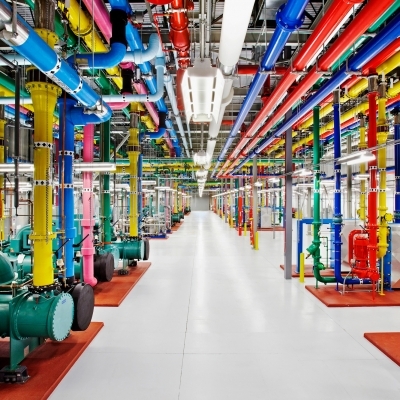 See inside one of Google‘s data centers in this guided tour. 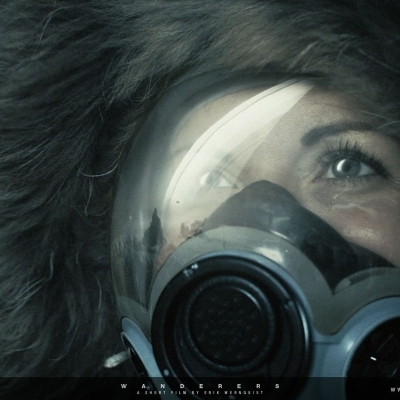 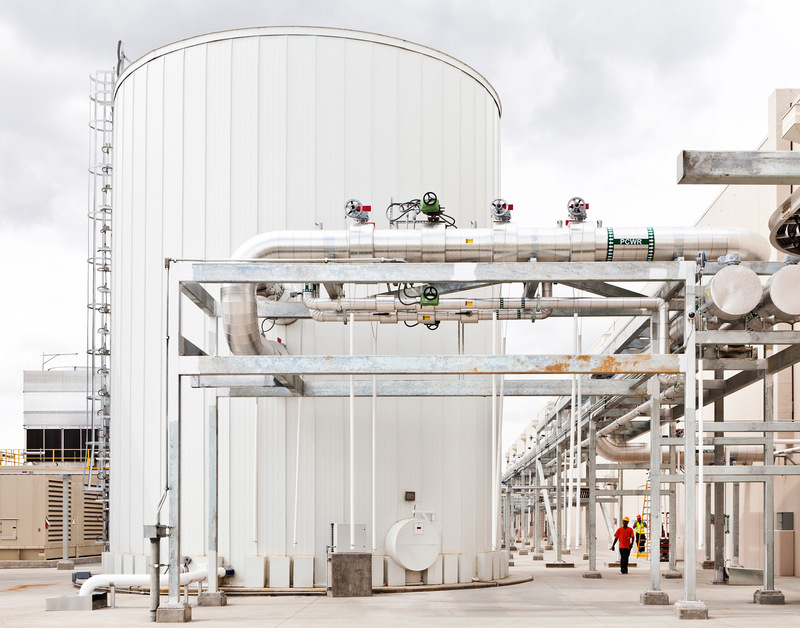 See what powers our products, and then explore on your own in Street View. 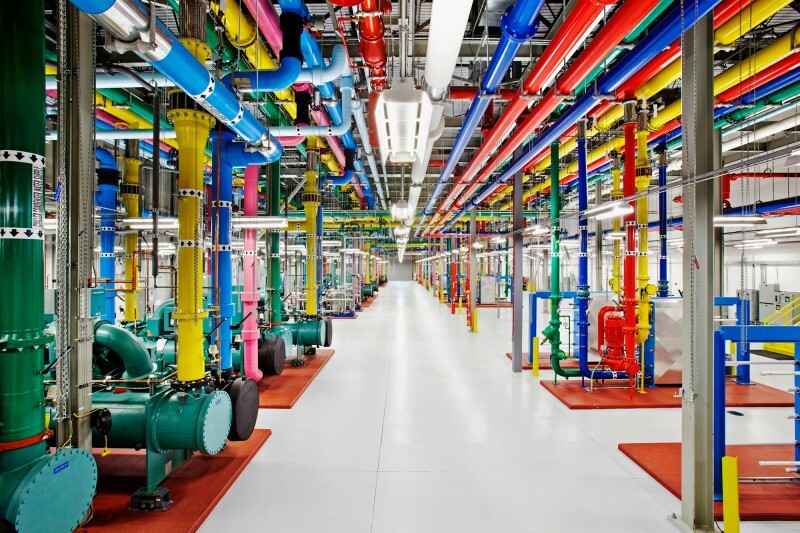 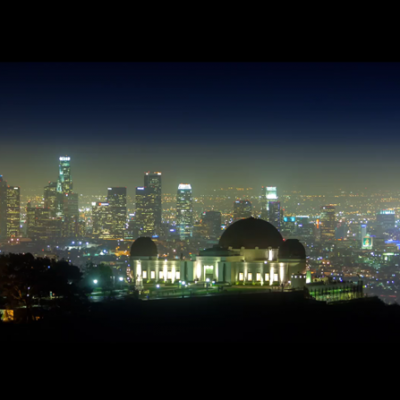 From our networking room to the cooling towers outside of the facility, you can explore the different areas of a Google data center in this guided video tour. 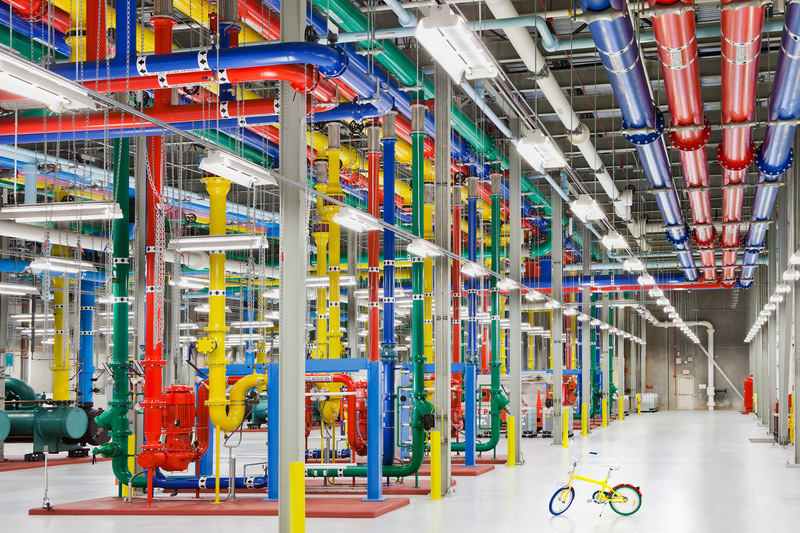 Learn more about what you’re viewing in Street View above, and see some of our equipment in motion. 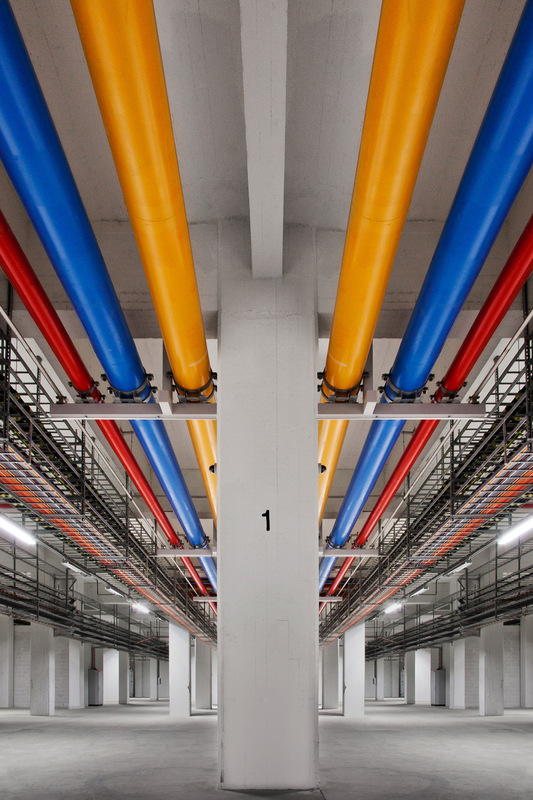 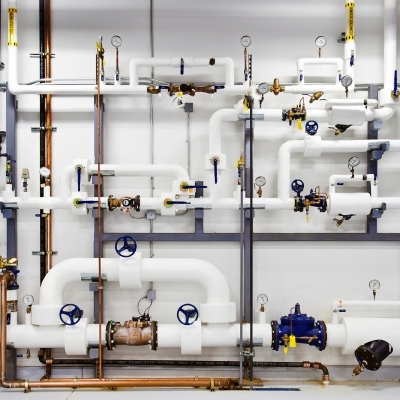 Thousands of feet of pipe line the inside of our data centers. 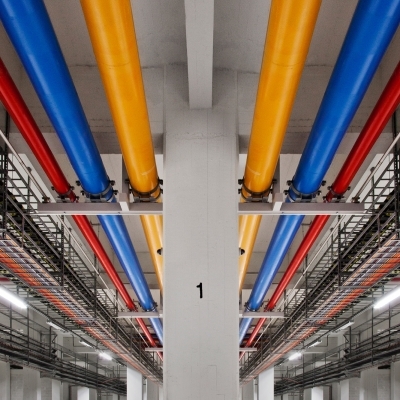 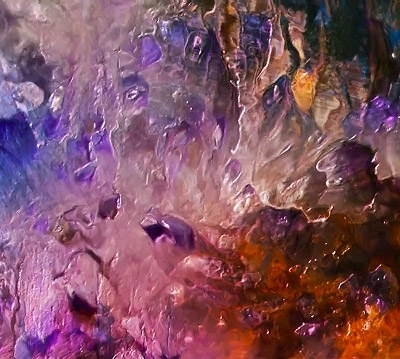 We paint them bright colors not only because it’s fun, but also to designate which one is which. 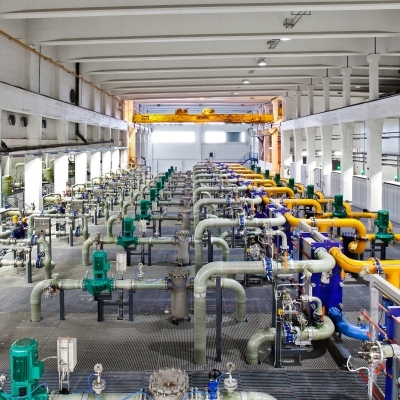 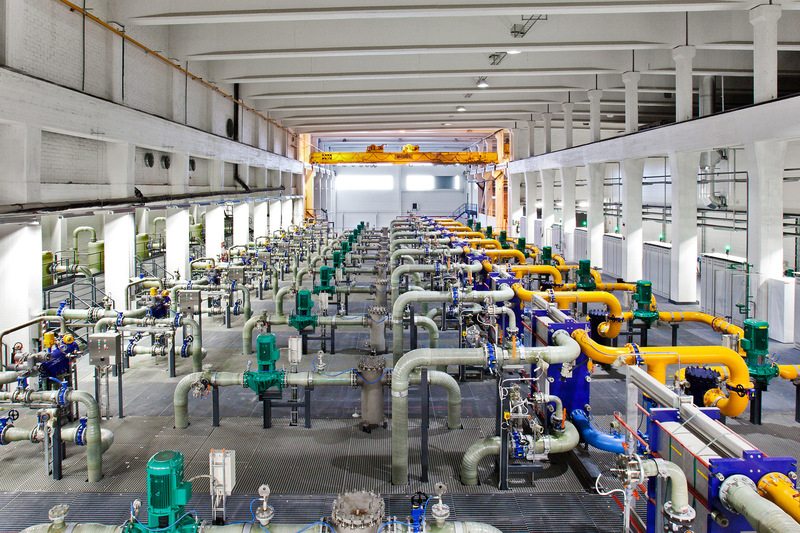 The bright pink pipe in this photo transfers water from the row of chillers (the green units on the left) to a outside cooling tower. 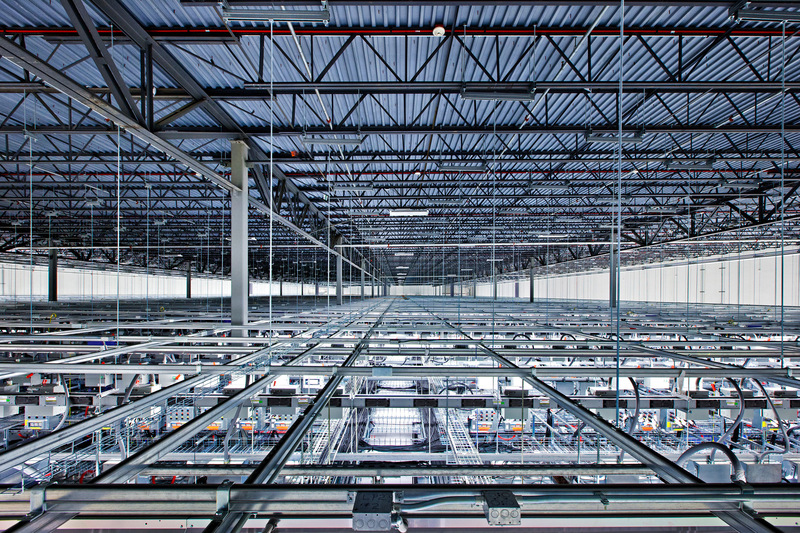 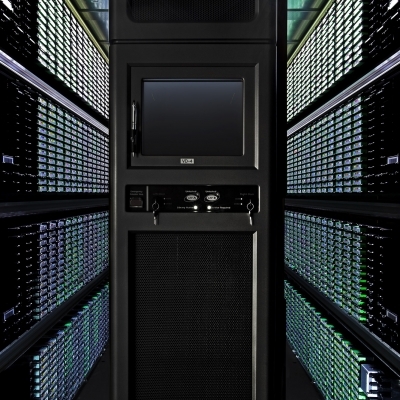 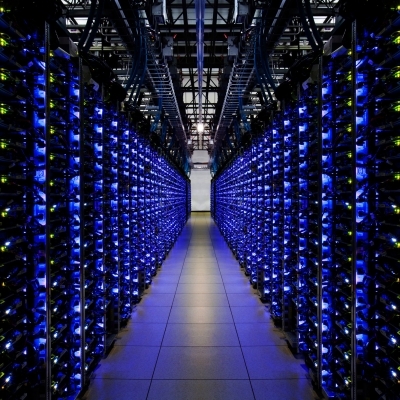 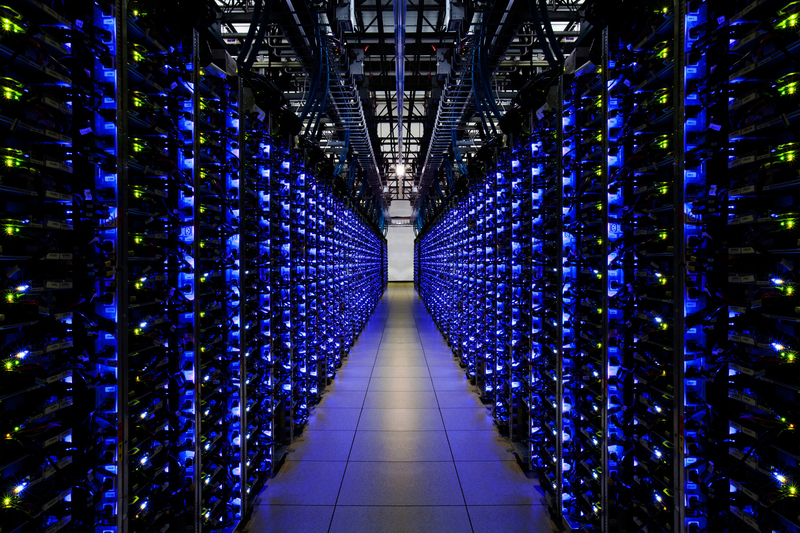 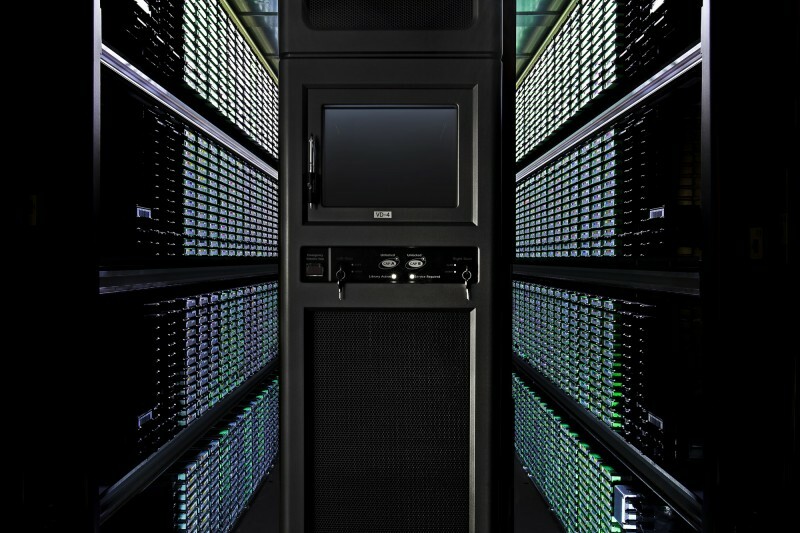 Server floors like these require massive space and efficient power to run the full family of Google products for the world. 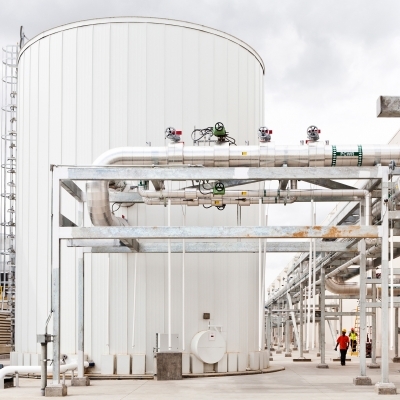 Here in Hamina, Finland, we chose to renovate an old paper mill to take advantage of the building’s infrastructure as well as its proximity to the Gulf of Finland’s cooling waters.